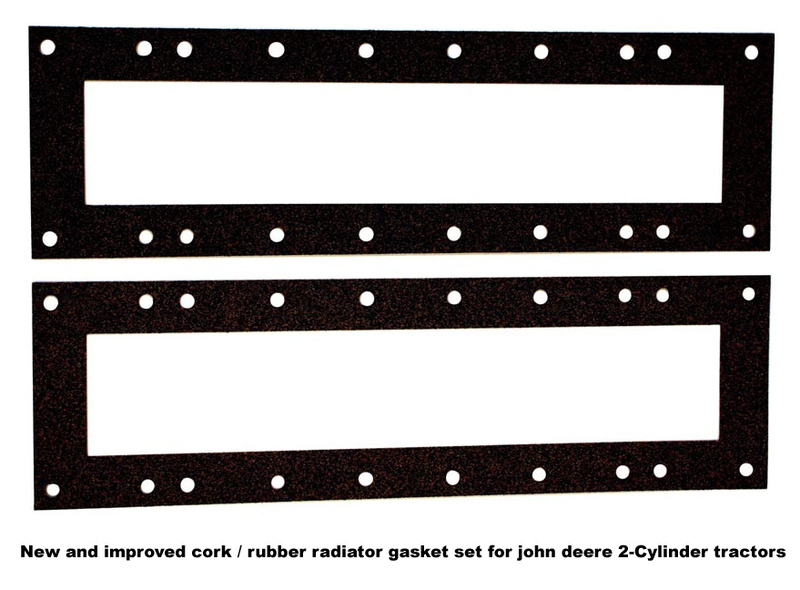 Our John Deere replacement radiator cores are a high quality soldered brass design with copper fins. Most of our John Deere replacement cores feature a staggered tube design which forces the air to “Zig Zag” through the radiator instead of passing rapidly through in a straight line. 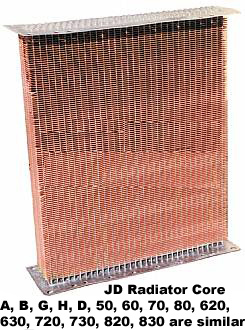 This staggered design greatly increases heat transfer, therefore increasing the total cooling capacity of the radiator. This improves the cooling capacity of all John Deere two cylinder tractors, but is especially important on early tractors using a thermo – siphon system (tractors not equipped with a water pump). Although our radiators may look slightly different out of the box, they are a great improvement over the original. Any differences in design will not be noticeable once the radiator is installed in your tractor. 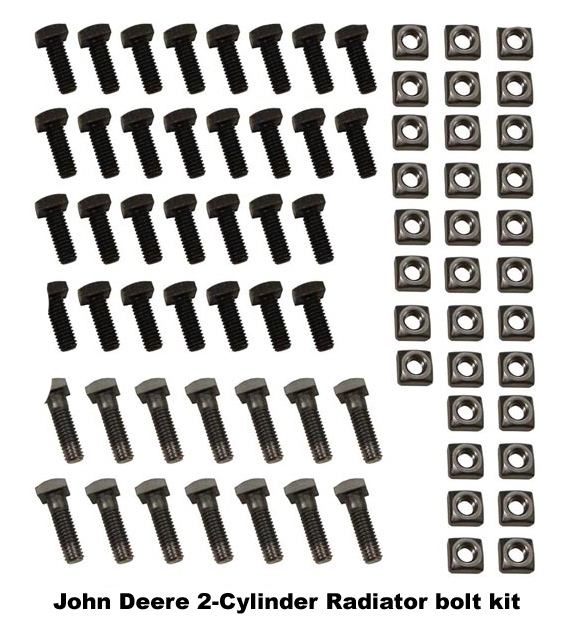 Our John Deere radiator cores are carefully packed to insure their arrival in perfect condition. 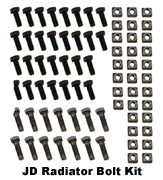 We recommend purchasing the high quality cork / rubber gaskets when available and a nut and bolt hardware kit when re attaching the top and bottom tanks to your new radiator core.